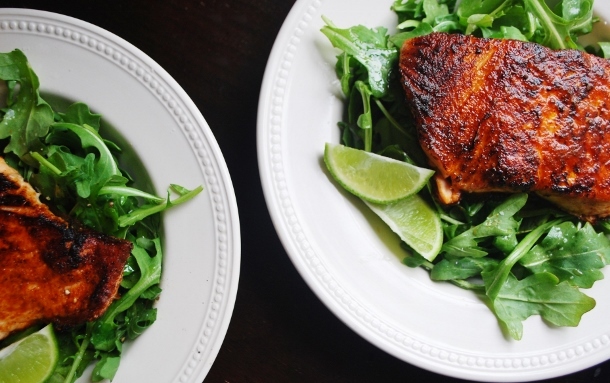 When it comes to lazy day dinners, salmon is at the very top of my list. It's incredibly satisfying, quick to prepare, healthy, and so naturally flavorful that it requires very little work on my part. Exactly what I need when I'm way too exhausted to put much more thought than that into it. Though I'm usually satisfied with a quick sear on a hot skillet, this weekend I decided to experiment with something a little bit more exciting (although still ridiculously simple). The inspiration came from one of my favorite recipes on this blog (Yes. I inspired myself. ): this chipotle roasted eggplant, which only calls for three ingredients and is equally good both hot and cold. It's one of the easiest things to make, but is always a guaranteed crowd pleaser. 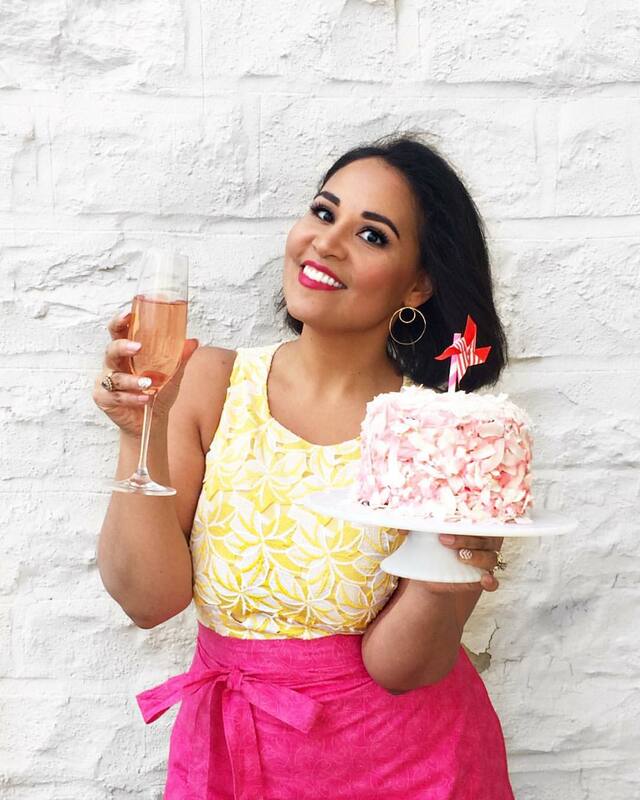 Every single time I make it, people beg for the recipe and I have to confess how embarrassingly easy its. The secret? A two-ingredient marinade made with olive oil and Chipotle Tabasco. If you've never tried this variety of Tabasco, I highly recommend that you pick up a bottle of this spicy smoky stuff the next time you go shopping. Ever since I tasted it for the first time at a Chipotle (as in the burrito bar) down in DC back when I was in college, I've been obsessed. We never not have a bottle of it in our fridge. Usually I keep a back-up in the pantry, too. What's great about this sauce is that it's the perfect blend of spicy, smokey, and savory. Mixed with a little olive oil and brushed onto salmon fillets, it's a ridiculous simple way to add maximum flavor with minimal effort. A quick broil and dinner is ready. I served mine on top of a bed of arugula dressed simply with fresh lime juice, olive oil, and salt, and once again had to fess up to doing practically nothing to make it so delicious. 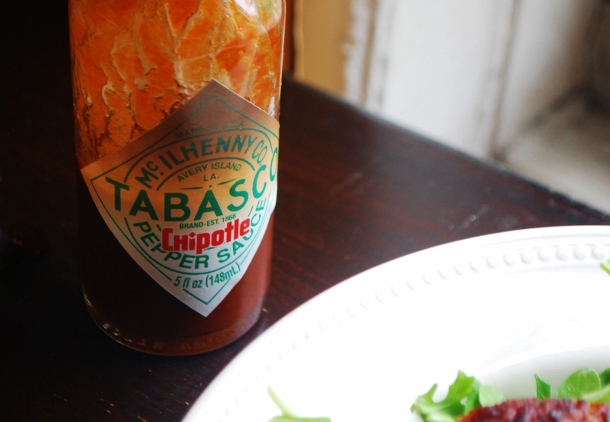 Note: if you can't find Chipotle Tabasco, you can also use chipotles in adobo sauce. Just puree the chiles with the sauce and then measure out the amount you need. 3 tablespoons Chipotle Tabasco sauce (or substitute pureed chipotles in adobo sauce). Line a baking sheet with parchment paper and arrange the salmon fillets skin-side down 2 inches apart. 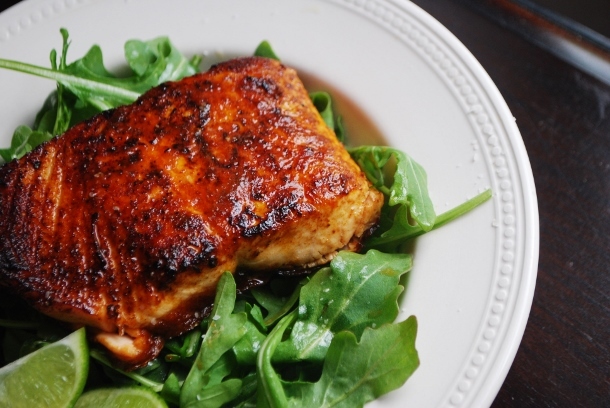 Whisk together the olive oil and Chipotle Tabasco sauce, and brush generously over the tops of the salmon. Season with kosher salt and black pepper. Broil 4 inches from flame for about 10 minutes, or until the salmon is cooked to desired doneness.